Oil companies raised petrol and diesel prices by Rs 2.21 and Rs 1.79 per litre effective midnight. The state-owned fuel retailers Indian Oil Corp, Hindustan Petroleum and Bharat Petroleum Corp Ltd on Friday, escalated the prices of petrol by Rs 2.21 and diesel by Rs 1.79, effective midnight of December 17th. This price-revision was supposed to come into effect yesterday on December 16th, but was held off, probably because of the demonetisation-battered government. This increase excludes local levies. The actual hike after considering VAT would be Rs 2.84 per litre in Delhi for petrol and Rs 2.11 for diesel. After the hike, petrol in Delhi will cost Rs 68.94 per litre from midnight tonight as against Rs 66.10 currently, said Indian Oil Corp, the nation's largest fuel retailer. Similarly, a litre of diesel will cost Rs 56.68 as compared to Rs 54.57 now. Accordingly, non-branded petrol will cost Rs 75.27 in Mumbai, Rs 71.50 in Kolkata and Rs 68.41 in Chennai. 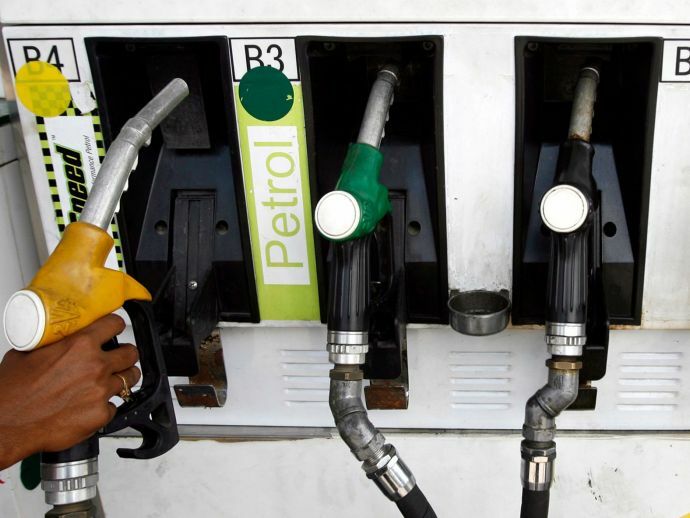 Diesel will now cost Rs 62.40 in Mumbai, Rs 58.92 in Kolkata and Rs 58.28 in Chennai. The price of jet fuel is also set to rise.